Chabad of SnoCo - 65 Strong! We received $5,695 from 55 Donors for Chabad of SnoCo! A warm "home away from home" regardless of affiliation or level of observance, Chabad of SnoCo is dedicated to making the richness and beauty of our shared heritage and warmth of community accessible to every single Jew in our County. Through community Shul, high quality adult education offerings, holiday events, hospital visits, one on one meetings and much more, so many people are touched and benefit from Chabad SnoCo every day! 100% of Chabad of SnoCo's funding comes from generous donors such as yourself. This 65 Strong - End of Year Fundraiser, showing our strength together, as a community, is a critical source of funding. Join this important campaign with an end-of-year tax deductible donation and help our Jewish community start 2019 on a solid financial footing. 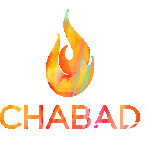 I would like to receive news and updates from Chabad of Snohomish County by email.